In Part I of this update we looked at progress in underwater warfare, general game mechanics and UI. Here we focus on improvements in air operations, tactical AI, and sensor & weapon modeling. 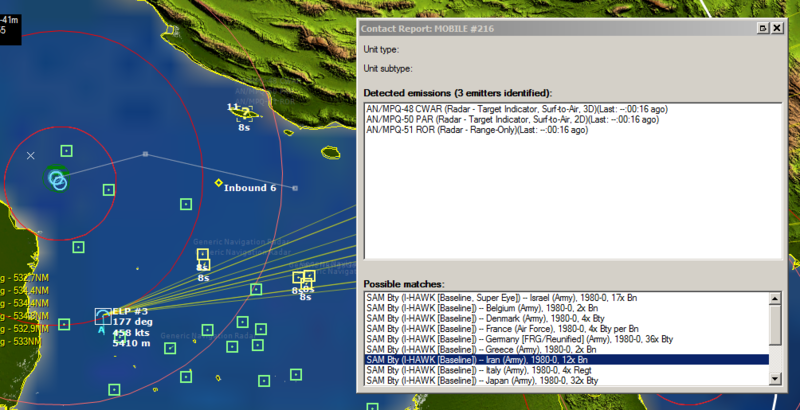 – The scenario designer can now mark any aircraft as unavailable (for maintenance etc. 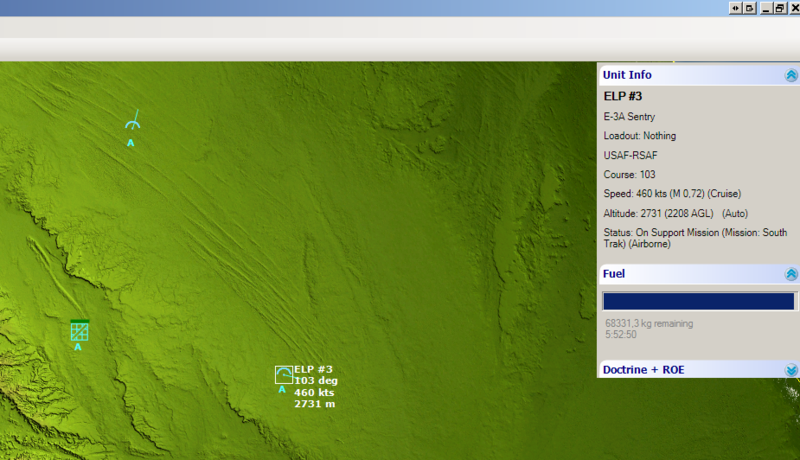 ), and the aircraft can remain so for the full duration of the scenario or until a specified datetime. – A frequent problem in legacy sims is when an aircraft is unable to take off because, for instance, a single Sidewinder is missing from its strike loadout. Command uses a much more intelligent algorithm to determine if an aircraft has the essential stores for its assigned loadout & mission, and in such a case will send the aircraft on its way. The same algorithm also monitors continuously the remaining stores of all airborne aircraft and will suggest that they RTB if it determines that their "core" weaponry has been expended. For example an F-15 tasked with air superiority and facing multiple bandits will shoot off its long-range missiles and attempt to head home (with its short-range missiles and gun still intact) rather than get into a disadvantageous dogfight. The same aircraft with the same loadout in a different mission (e.g. intercept scramble) may follow different logic. The player can override this decision if he deems that the AI "crew" is making the wrong choice. – Support missions can follow pre-planned waypoint routes, either one-time or in a loop. This allows players to define much more precise tracks for e.g a stand-off jammer than a general "loiter in this box" assignment. It also makes reconnaissance runs much easier to plan. – When putting together an airstrike, you can attach support aircraft to the "core" strike group(s). These aircraft may be fighter escorts, jammers, tankers, SEAD shooters etc. They remain separate from the strikers in grouping (which greatly simplifies by-type management) but will stick as much as possible with them in terms of course/speed/altitude and follow them all the way to the target and back. This significantly reduces strike micromanagement and offers an alternative to independent support missions. – Land units no longer simply advance towards their target(s) while firing at them. They now take into consideration their weapons envelope and their own type. For example truly mobile units able to fire on the move (such as armor platoons) will move while firing until they reach a certain percentage of their weapon’s range against the target, whereupon they will halt and continue firing. On the other hand relocatable units like artillery or SSM launchers will not fire while on the move and will halt once they reach just within max weapon range of their target, then deploy and commence firing. Relocatable units are also much more likely than mobile units to retreat under threat of enemy incoming units. These tweaks significantly improve the realism of land combat. 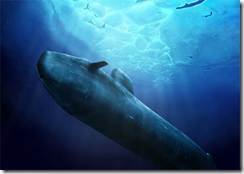 – The crew-AI for underwater operations (both sub-ops and ASW) is being given a thorough overhaul as the sensor & weapon models are falling into place. We should be able to visually present various end-to-end sub-ops & ASW setups in the near future. – A limitation of the ESM model in legacy sims is that any sensor is able to precisely identify the emissions that it detects. As a result, one can send a MiG-21 with a stone-age RWR on an ELINT mission and get the same results as with a sophisticated ELINT aircraft like the RC-135. Command changes this. Only certain ESM/ELINT sensors are able to precisely identify the emissions they detect; other less sophisticated sensors will provide only general descriptions like "Long-range air search radar". The emission-based contact filtering (shown on Part I) can be performed only after having at least one emission positively identified. 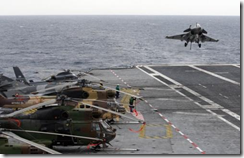 This makes sophisticated ELINT equipment much more valuable, as in real-life operations. – ESM detections are now resolved much faster. This increases performance in virtually any air/surface ops scenario. – Magnetic anomaly detector (MAD) sensors and sonobuoys have been implemented. – Convergence zones and surface ducting have been added to the sonar model. – The benefits of brilliant weapons are now properly modelled. A LOAL-capable smart weapon arriving at the target area and detecting other nearby targets may well home on a target different than the one it was launched against, a result both militarily and often politically undesirable. Brilliant weapons (such as AGM-84K SLAM-ER ATA) are able to pick out their intended target even in the midst of others and specifically home on it. This is particularly important for strikes in populated areas or other cases of probable collateral damage. Weapons with active man-in-the-loop guidance (like the AGM-130 glide bomb) also have the same discrimination ability. 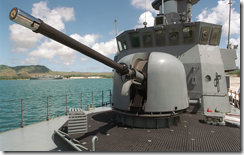 – Weapons with terminal semi-active guidance (LGBs, SM-2 SAMs etc.) now have a per-weapon "Paint Time" variable that determines the amount of time they need to have their target illuminated. This amount varies depending on various properties of the weapon (Paveway III bombs need a 10 second paint; SM-2 missiles only need 3-5 seconds etc.) and is an important tactical factor for the platform that must perform the illumination. – The dynamic launch zone (DLZ) calculations that determine if a weapon is kinematically able to intercept its target have been tweaked to include an additional buffer against incoming high-speed targets. This allows the shooter platform to exploit the high closure rate to launch the weapon further out than the nominal launch envelope. Common target examples include high-speed incoming aircraft (SR-71, MiG-25/31), supersonic cruise missiles (AS-4/6) or even ballistic missiles and re-entry vehicles. 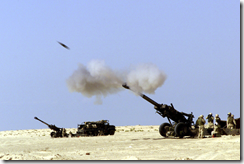 – Guns and other mounts of unguided weapons (rocket launchers etc.) are now subject to director limitations just like semi-active weapons. A particular gun may have superb accuracy when directed by a radar or laser sensor, but piss-poor effectiveness when aimed with a simple optical device or on full manual control (either because there is no better sensor present or because the better sensors have been taken out). This is a critical differentiator on small-scale skirmishes (e.g. 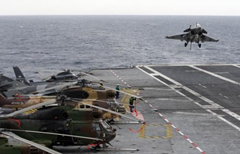 FAC duels, piracy & counter-piracy operations, littoral engagements etc.) because the same weapon systems can often be found on platforms with highly diverse sensor fits. Think that 76mm/62 Oto-Melara works just the same on an western DDG as it does on an oversized speedboat? Think again. – We have added some tweaks & improvements to the wreckage model; Ships that are destroyed do not "vanish and re-appear as neutrals", they remain on their original side but incapacitated in every way, and they can still act as targets for sensors and incoming weapons. As before, additional hits on an existing wreckage will shorten the time before it sinks completely. Development of Command continues at a rapid pace. More information and feedback is available on our Command forum. It has been a busy summer for the Command development team, in small and big things alike. Now that school is in, it is time to review the numerous aspects of progress made on the sim over the summer months. This first part lists improvements in underwater warfare, general game mechanics & user interface. Submarine and ASW ops were the least developed section of Command until recently, but that is rapidly changing. * Straight-running torpedoes were implemented, and they work very well – in fact you have to use them carefully or risk hitting civilians or neutrals (they are equal opportunity keel-breakers!). Throwing a salvo of these against a concentrated convoy is very interesting to watch. * We already presented mines; a few improvements since that time is that now the scen author is presented with more information when placing existing minefields, and CAPTOR mines have been implemented. * A “Mk1” sonar model (both active & passive) has been implemented; despite its fundamental simplicity it works better than anticipated and will easily hold its own until the vastly more complex Mk2 model (currently under development) is added to the codebase. * ASROC and similar standoff ASW weapons were implemented. 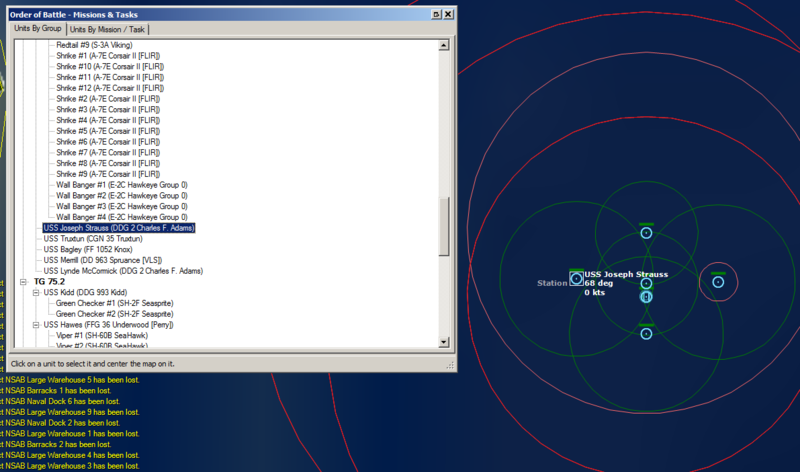 The SS-N-14 with its dual-mode operation (ASuW & ASW) was particularly tricky to model correctly, but it works fine. * The thermocline layer and its effects have been implemented. Contrary to legacy sims that feature a layer of constant depth, thickness and strength, Command dynamically calculates the layer’s properties based in geographical position, local depth, and even the local time of day and climate temperature. 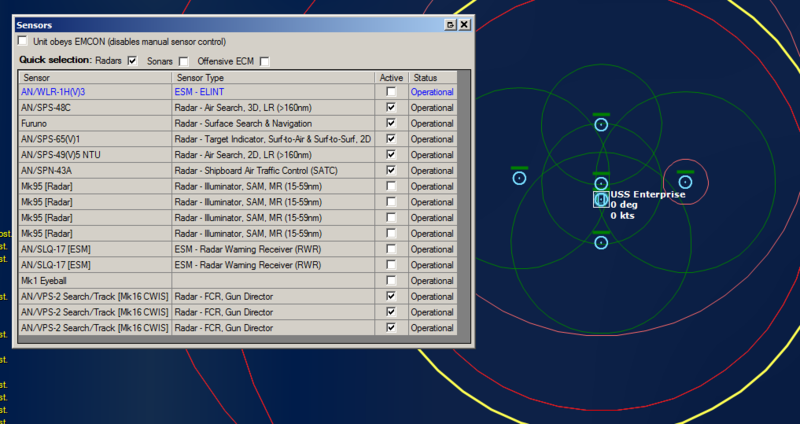 Both surface ships and submarines can use the layer to search for enemy forces while masking their own presence. * The deep sound channel and its effects have been implemented. The DSC is located just under the thermocline and offers a conduit for very long-range sonar detections (this is what SOSUS exploits). Units with towed arrays and/or VDS sonar can stay above the layer while hanging their sensors on the DSC and monitoring the below-layer area. * Forbidden zones were added to the scenario editor. Using this feature allows the scenario author to define areas whose violation automatically marks an intruder as unfriendly or hostile. Additionally, standing intercept missions can be configured to launch only against hostile or unfriendly contacts, instead of triggering against any new contact. This combination allows for quite realistic violation/intrusion-interception setups. * There is something related to scenario editing that we are currently working on which is really big, but not quite there yet. Suffice to say that TOAW-regulars will be really pleased. * The ORBAT windows are now much more useful; click-selecting a unit on the ORBAT list will center upon the unit on the map and auto-select it if possible. Listings by task/mission are also available. * Allied and friendly (but not own-side) units are now displayed with “A” and “F” letters under their symbols respectively. This makes it much clearer which units are friendly to the player’s side but not under the player’s control. * Massive performance improvements to map rendering under heavy load. Having tens of thousands of visible units on the map no longer slows down UI operations. * Quick-selection checkboxes have been added on the unit-sensors window. So while you still can manually control every single sensor on a platform, lighting up all 112 radars on the Kirov is now a one-click job. * The “Contact Report” window now includes a list of the detected emissions from this unit, and can perform a filtering of possible matches based on these emissions. The more emissions you are able to detect from a contact and the more unique they are, the more precise the filtering will be. The second part of this update will focus on air ops, tactical AI, sensor modeling & weapon modeling.